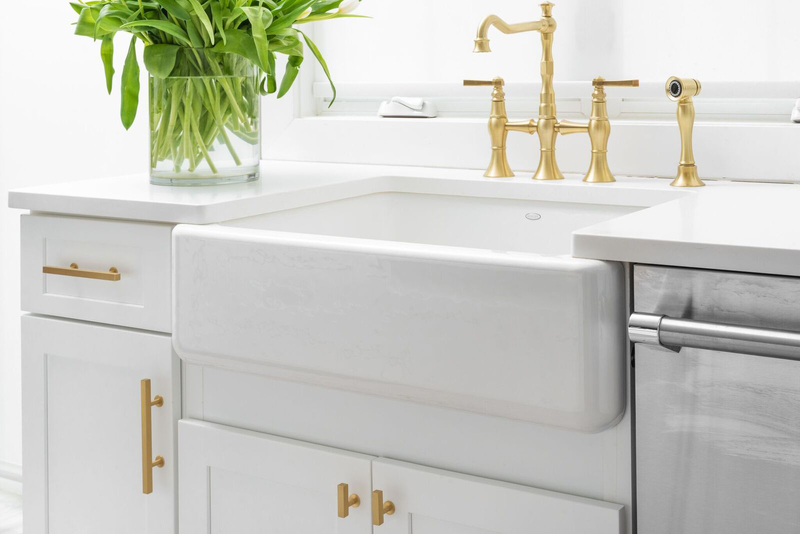 Have you ever considered adding gold or brass to your kitchen? These days interior spaces are becoming richer and more lavish. So, how about bringing opulence into your space by experimenting with gold or other metallic variations. You can go to the extreme, or simply accessorize with gold/bronze in your handles, appliances, or even lighting. 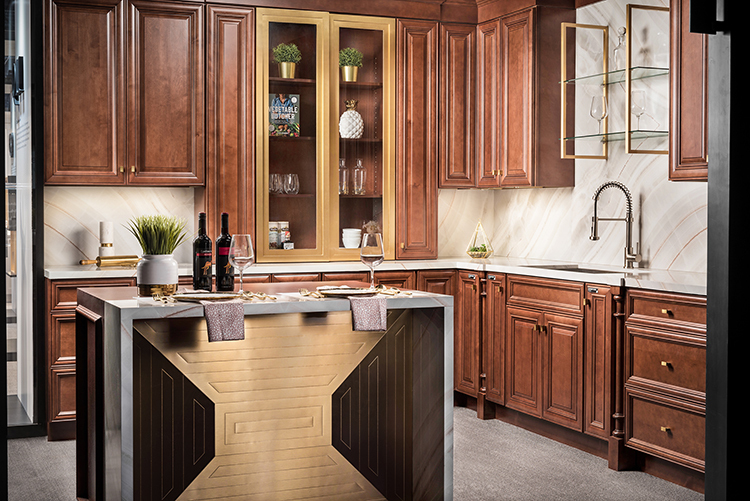 Although gold accessories and accents can be minimal, they are also a bold choice when it comes to designing your kitchen. If you love gold, but want a less dramatic effect, we suggest designing the finishing touches with metallic colors. That will give you the glamour without overcommitting. Therefore, for a subtle approach we recommend choosing small gold or bronze handles and emphasize this theme with the kitchen light fixture. Gold pendant lighting is a glam choice that is sure to bring out the metallic handles and will ultimately set your kitchen apart. A completely metallic range hood, is a unique addition that will really make your kitchen stand out. Another stylish but daring option would be to incorporate a brass sink into the design. You can achieve many different looks by adding metals to your kitchen space. From soft and feminine to bold and dramatic, metallic can be used in modern, transitional and traditional spaces. We especially love the combination of timber and gold. Leave us a comment below the blog and let us know how you would ideally incorporate metallic into your kitchen.